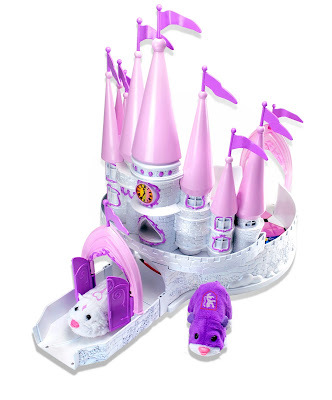 The ZhuZhu Princess world is magically powered by the hamsters themselves. Simply pet the hamster's back and like a true spell your royal pet will swirl, twirl, and dance through the castle and ballroom. Listen to your prince try to win his fair Princess' heart with his charming hamster coos. When the clock turns midnight and it's time fr the magic to conclude, simply pat them on the head or back to place them into a sweet, sound slumber. Heirs to the throne, Princess Snowcup and Prince Dashington are companions that bear individual Royal birthmark symbols , personalities and sounds that reflect their noble heritage. Within the sturdy walls of the ZhuZhu Princess Castle, Prince Dashington and Princess Snowcup Reign over their Zhu-universe. Prince Dashington and Princess Snowcup always arrive in style in their charming Princess Carriage. The footman will get them t the ball in time, looking their finest. ZhuZhu Princesses are the belles of the ball as they hold the attention of onlookers by swirling, twirling, dancing and dreaming their way across the floors of the Magical Crystal Ballroom. Simply swipe Prince Dashington and Princess Snowcup across the Magic Key, place them in the Ballroom on the special centerpiece, pat their backs - and watch the magic as they sing and dance! The hamsters of the royal court will be ready for any noble event when they're all dressed up in their new Enchanted Hamster Outfits. From beautiful princess, charming damsel, fair maiden, evil dragon, ball gown beauty, handsome prince, loyal footman or mighty guard, these fashions are sure to impress any royal crowd. 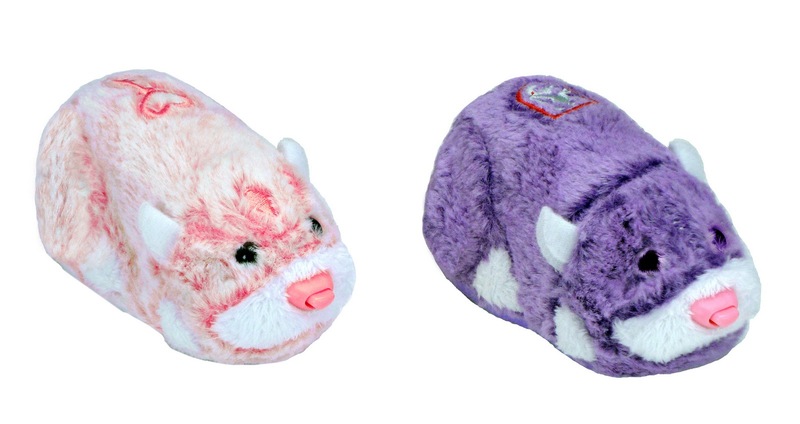 ZhuZhu Pet's are one of the 100 Best Product's in 2010! So naturally the princess was very excited when the new ZhuZhu Princess line debuted! Loving all thing's pink and princess she was over the moon when she had the opportunity to check out this adorable new line! We received the ZhuZhu Princess Castle, the ZhuZhu Ballroom, Prince Dashington and Princess Snowcup ZhuZhu Pet's, and an adorable dress up outfit! Everything was super simple to set up and the princess was playing with her new friends within a matter of minutes. What impressed her most was the magic key and the ballroom. When we swiped Prince Dashington and Princess Snowcup across the key and placed them in the Ballroom it activated a flurry of dancing and singing from her new royal friends..... her mouth dropped open in awe and she said "ahhh it's magic". She also really enjoys the dress up outfits (we've added to the dress up collection for her as she enjoys it so much;) She gets all dressed up and then dresses up her ZhuZhu pet's! 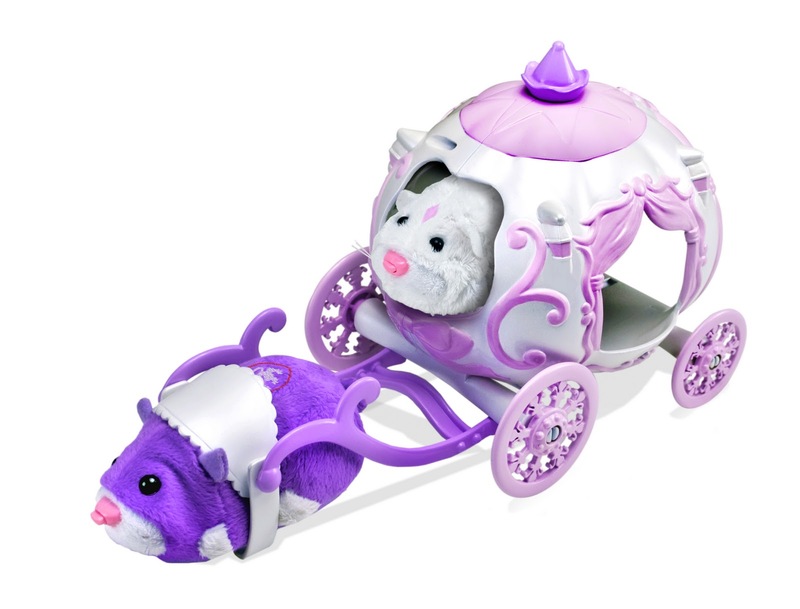 This is such an adorable FUN line from ZhuZhu Pet's.....the PERFECT gift for the little princess in your life this Holiday Season! Experience the magic of the ZhuZhu Princess collection! One Lucky reader will receive the ZhuZhu Princess Castle, Ballroom, Prince Dashington, Princess Snowcup, and a Dress-Up outfit! Leave a comment~ Visit http://www.zhuzhupets.com/ and let me know another ZhuZhu Pet or accessory you'd love to gift or receive this Holiday Season. The comment is considered your entry. 2) Tweet ~ #WIN a ZhuZhu Princess Prize Pack! @savvycouponmom http://bit.ly/g06Sp9 #GIVEAWAY #Holidays (can be repeated twice daily for additional entries~ copy paste please~cut and paste- the bit link must be posted in the tweet - I will check) (Additional 5 Entries - 5 Comments). Entry to this giveaway ends at 12pm PST December 22, 2010. Winner's are chosen randomly through random.org. The winner will be announced in a post within 7 days of the giveaway ending, and contacted through email. The winner will have 48 hrs. to respond or another winner will be chosen. Love Jilly Zhu Zhu. so cute and girly! My girls love these things! I would love to get my daughter Zhu Zhu Pets hotel. I like the Baby Hamster Stroller. I did not want to enter the Giveaway I just wanted to say Thanks for what you did for the Hospital and the chidren. As well as a Huge Thank youto those companies as I lost my daughter when she was 16. So Thank you from the Bottom of my famlies Hearts. The website won't load on my comp. :-( But I'm sure any girly toys would meet myniece's expectations. 1 I follow you on Twitter as Measuring Flower. 2 I follow you on Twitter as Measuring Flower. 3 I follow you on Twitter as Measuring Flower. 4 I follow you on Twitter as Measuring Flower. 5 I follow you on Twitter as Measuring Flower. 1 Entered the Epson giveaway. 2 Entered the Epson giveaway. 3 Entered the Epson giveaway. 4 Entered the Epson giveaway. 5 Entered the Epson giveaway. 1 I subscribe to your RSS. 2 I subscribe to your RSS. 3 I subscribe to your RSS. 4 I subscribe to your RSS. 5 I subscribe to your RSS. 1 I Like Zhu Zhu Pets on FB. 2 I Like Zhu Zhu Pets on FB. 3 I Like Zhu Zhu Pets on FB. 4 I Like Zhu Zhu Pets on FB. 5 I Like Zhu Zhu Pets on FB. 6 I Like Zhu Zhu Pets on FB. 7 I Like Zhu Zhu Pets on FB. 8 I Like Zhu Zhu Pets on FB. 9 I Like Zhu Zhu Pets on FB. 10 I Like Zhu Zhu Pets on FB. I'd love to gift the Zhu Zhu Pizza Shop. I'd also like to gift the speed boat and dock to my little girl! My daughter just discovered ZhuZhu pets, she does not have any,but with her love of princesses, this would be perfect! I also like the zhu zhu salon. I'm a follower.I'd like to give Stinker to my son. My boys would love the Kung Zhu battle arena.